Today Chris Roberts came out and blew away the Star Citizen player community and probably a few more gaming communities. The presentation today was apparently a v1.0 tech demo for the 3.0 alpha release. Chris mentioned that they already have a v2.0 tech platform for the 3.0 alpha release that wasn’t ready for presentation today but may be ready by CitizenCon on October 9th. 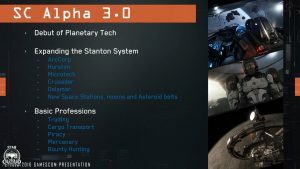 The features for Star Citizen Alpha 3.0 are quite fantastic. 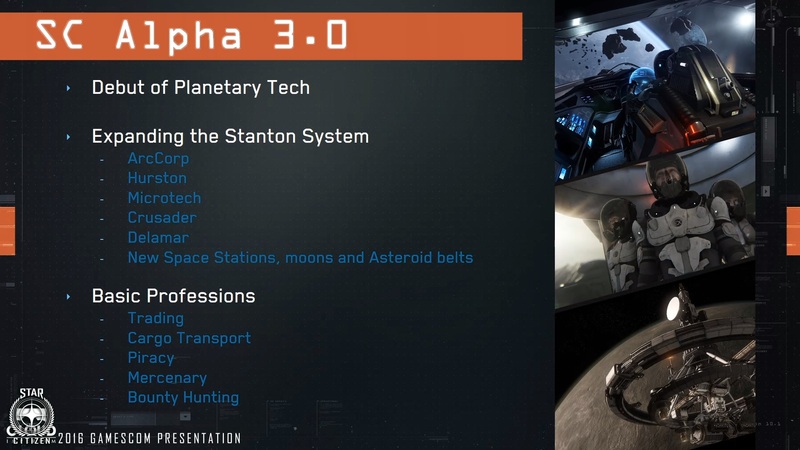 A screen capture from the live stream during the presentation today that lists some of the features that the 3.0 alpha test will bring. Click to see it for yourself! The 53 minutes of gameplay presentation was simply amazing to watch and see how far this game has actually come. 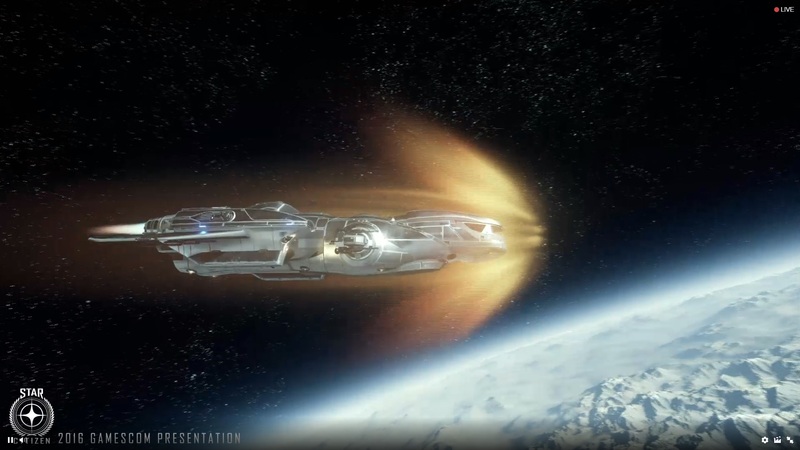 I think the best part about it is that Chris Roberts said himself that alpha 3.0 of Star Citizen should be available to players by December of 2016. That’s this year!